Would you like less work that is not FULFILLING and more activities that are? Nadabrahma Academy is a member of the Complementary Medical Association. Heal yourself and others with sound therapy. Get 40 Euro ! DISCOUNT ! book a training before 15 of May. Sound Healing Practitioner Level 1 is a component level of the Sound Healing Practitioner certification and Diploma Award. also great for those just wanting to learn to play for themselves. 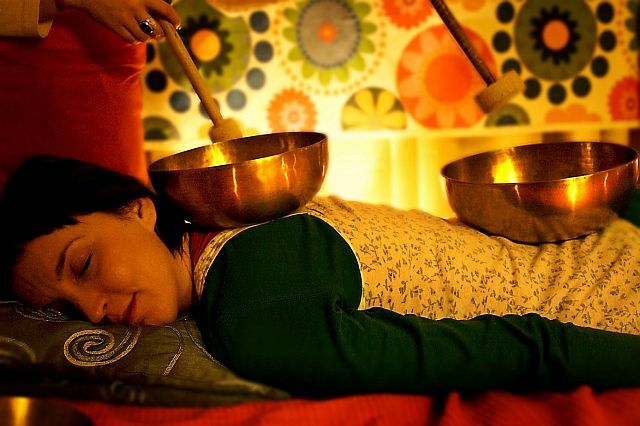 You will learn the BASIC method of how to do a individual Tibetan bowls massage, how to choose a singing bowl and how to play the bowl as a self meditation. – to alleviate symptoms of stress including Tension and the accompanying aches, Insomnia, Trouble falling asleep, Pain – including joint and back pain, Menstrual cramps, IBS, More energy, and a whole lot more. The goal of this training is to familiarize you, the participant, with the basic principles of the Sound Massage. Not only will you have the opportunity to experience the “Sound Massage” yourself, you will also receive your first instructions in sound massage applications and, as a result, you will be able to perform the “Sound Massage” for private use.